I seem to have unwittingly been thrifting to a colour theme this week, with various lovely shades of purple, orange and gold jumping out at me. There's no label on it, but it seems to be made of vintage material that's been laminated. It looks a bit like it's been encased in fibreglass. 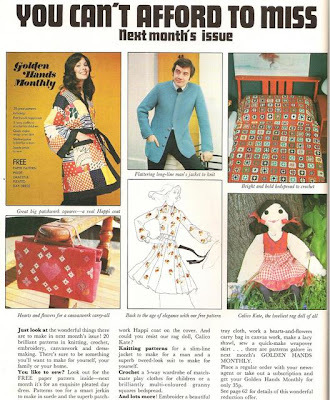 I tried to do some research and found an old post by by Caren at Tea and Chickadees on her collection of 'FAB' trays (FAB standing for fabric) although all hers seem to be circular, not to mention made in North America. Maybe mine is a homegrown version of the same idea? I found yet another bubble base bud vase, I don't really want to become a hoarder, but as they're so cheap and pretty I can't stop buying them! Someone local is obviously slowly purging their collection and I'm taking them in. The gold frame was the one thing I actively went looking for this week, after buying the ﻿bird card and thinking it would make nice artwork. I had to lever all the staples in the back of the frame up with a knife blade, chuck the existing print and had a bit of trouble getting the chipboard back in again, but I'm really pleased with how it looks now. Also, I finally found one of the hand embroidered bits of granny handiwork that everyone else seems to track down with ease. It's really well done, and has only a couple of tiny spots which I may be able to get out when I wash it. ﻿I'm quite in love with this bag, and think it will go well with my 70s dress. What bargains did you get this week? Playing this week with Sophie. Sounds rather like the title of one of those dreadful poems that accompanies a Victorian picture of a praying infant, but is actually a craft magazine from the 70s. 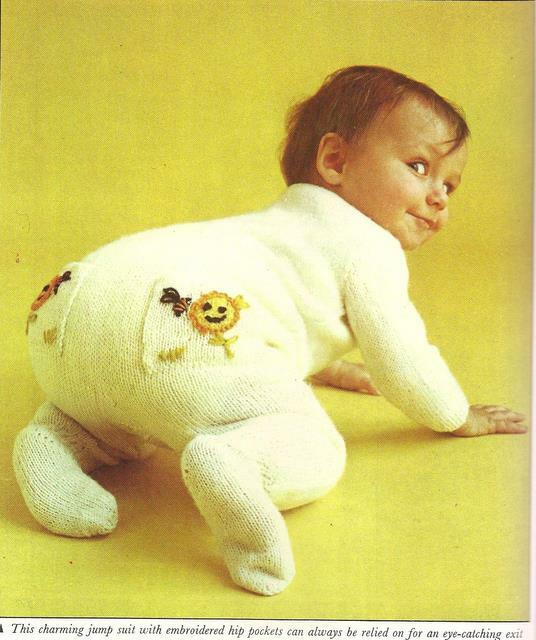 I found it for 20p in amongst a load of knitting patterns and it's too good not to share. "Patriotic or not, if you're in the fashion scene you'll know that red, white and blue is the colour way. There's a quartet of smashing tops to knit this month"
"With so much country air drifting through the fashion scene, with cream and butter coloured muslins and cheese cloth smocks, what could be more appropriate than a mass of brightly coloured flowers to embroider on a smock or dress?" "Stop the presses, we almost screamed, when we saw the absolutely superb macramé necktie designed for us...very much the accessory now"
"We foresee a craze for appliqué in suede...Think of scarlet cherries on a beige suede jacket. Luscious!" My mum had a very similar top. And hat. And hair. Don't worry though, children aren't forgotten. In addition to the 'Tumpty' dress for little girls, and a chicken shaped 'nursery seat', you could knit this all in one for your baby. It's charming I suppose, but just imagine it after a day of crawling, and with a full terry nappy underneath! Now I guess my other half will never get to own the flattering long-line man's jacket. Sigh. Embroidery signifies a lack of work. So says an ancient Arabic proverb. I'm totally with the bearded scholars on this one. Check out the embroidery I started at my craft group a whole eight days ago. Can you tell what it is yet? ﻿Yes, that's right, a beautiful butterfly! Gosh, my niece will just love its pretty, erm, thorax. Anyway, I'm amazed and so pleased that anyone is reading at all and get stupidly excited when I get a new follower, so sincere thanks to all of you who've commented or joined up. But to get back to the Arabic scholars, one can only imagine what they'd have made of Twitter. Or indeed blogging. I am in awe of some of you. Seriously. It's bloody half term! 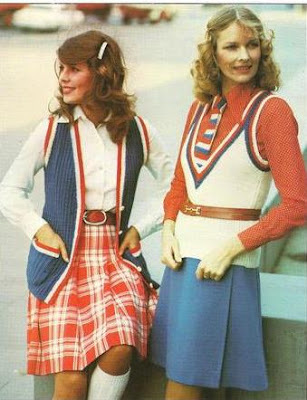 Some of you seem to manage to home school your kids, dress them in handsewn (and tasteful) outfits, crochet entire coral reefs, stock your Etsy shops, dress yourselves in amazing outfits, run a resale business, research antiques, cope with a chronic medical condition, and post daily to your blogs complete with arty photographs of doilies. Not to mention keep up with everyone else's. It's as much as I can do to type this during Gossip Girl. If this isn't exhausting enough, now I find out I need to use Twitter as well. Liz at Me and my Shadow has dragged me kicking and screaming into tweeting (140 characters huh? Brevity. Unconvinced it's me) so feel free to stalk - sorry, follow - me there and convince me it's a good idea. I'm @FHCShopping. My children forage for nuts and berries. And my embroidery's in the wardrobe. *I like to think of it as being fashionably late to the party, a la Moss, as opposed to a simpering 'me too' like Sienna Miller. I'd take SM's hair though. No, nothing to do with Beyoncé's booty, just a few additions to my pressed glass jelly mould collection. The tall turquoise and oval orange were £1.50 each, and the mini red one was 80p. I love these, they make great traditional party jelly. Aren't they great? I'm after a rabbit one next, who can sit wobbling gently on a pile of chopped green jelly 'grass'. I also picked up this set of 6 French dessert dishes for £3.00. Bargain. I made a quick escape from the kids this Sunday and went to Frock Me! on the King's Road. This vintage fashion fair is one of my favourite places to shop and is a gorgeous way to spend a few hours (and pounds). but though it's a perfect setting the real stars of the show are stall after stall of gorgeous clothes and accessories. Here are a few things which caught my eye. The red 50s party dress is just slightly too big, but can be taken in down the side seams. It was priced at £35, but the lovely stall holder Janet knocked £10 off when I wavered over the fit. My local dry-cleaners has altered things for me before, but I could possibly even attempt this myself - doesn't look like the seams will even need opening, just pinning and restitching by a half centimetre. ﻿I'm not sure if it shows in the picture, but the trim around the hem is fringing - I love a bit of tassel! The blue cotton day-dress is 1950s too, and in amazing condition considering its age and the fact that it would have been worn more regularly than the fancier frock. Against a Summer dress from say, Topshop, there's just no comparison. The fabric has a proper weight to it, and just hangs better (and isn't see-through). The hem is turned up a good few inches as well - no way you'd get that with modern clothes unless they're a designer label. Stunning handbags on Deborah Bouain's stall. Look at this incredible telephone bag from the 70s - it comes with a jack to plug into a land-line socket. Isn't it gorgeous? This one had never been used and still had the original tags. Eat your heart out Lady Gaga. Various pretties to satisfy the magpie instinct. I bought the snowdrop brooch above left for my Gran. Being 'vintage' herself I hope she'll like it! We'd had a phone conversation the day before about snowdrops and how she wished she had some in her garden. As I only had a couple of hours to browse (had to get back to accompany the boys to a party) I didn't have a chance to take a break, but if you have time then definitely take the weight off your feet at the vintage tearoom. I usually like to compare purchases and eat cake from pretty china whilst the gramophone warbles away in the background. The next London Frock Me! is on April 10th, and in Brighton on 6th March. Go - I defy you not to be tempted by something! 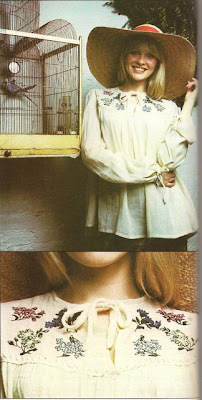 Original art and 60's beauty tips! Hi everyone - here's all my finds from the week, some good bargains to share. There was a half price sale on at St Christopher's Hospice shop (my favourite local one, without the 'vintage' know-how and pricing of those in more up-market areas), and it really brought the bargain hunters in. I had the smallest boy with me, so no chance to look at clothes - I just had a quick glance at the homewares whilst we had our usual battle over the china. (Me hissing 'put that down!' and him attempting to use a plate as a steering wheel whilst making engine noises). Anyway, I found a pale blue bud vase to add to my collection - it was filthy, but is now sparkling again and was only 50p. I also got a couple of cheap and cheerful Indian style shell bangles, but my favourite treasure from St Christopher's this week was a framed original watercolour of the Place du Teatre in Paris. I can't make out the signature (cos obviously I'm usually an art expert) but I love the style and with the 50% discount it cost the princely sum of £1.25. What do you think, was it a good buy? The Gods of charity shopping were also smiling on me in the Mencap shop next door, where I found an embroidery hoop for £1.00. Ok, it's not a thrilling buy, but at my craft group the evening before we'd been told that it would be helpful to bring one the following week as we'd be learning some stitching skills. And there it was, the first thing I saw when I walked in. So now I will fit right in on the tram to Croydon, like Jane Austen at a crunk night. There are four charity shops on the main drag in Beckenham, but my trip there was pretty much fruitless. Anything remotely 'vintage' is pounced on immediately - and to my mind, usually overpriced. All I came home with was a cheap but sparkly 'emerald' look brooch for use in a craft project, and a glass jar (smelling strongly of synthetic vanilla) which I've put my buttons in. A trip to West Wickham (fairly posh village-y high street) just yielded books, but included a couple I was pleased to find. Farmhouse Cookery: Recipes from the Country Kitchen (£2.00, St Christopher's) is a fantastic Readers Digest book from 1980 which I can really recommend. It has all kinds of idiosyncratic regional specialities - savouries, baking, preserves and beverages - and a section at the end of each chapter including favourites from around the world. 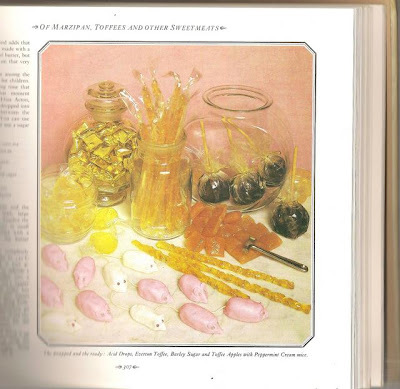 My mum has a copy, and I remember being fascinated as a child by the section on making sweets. I think this photo had a lot to do with it. 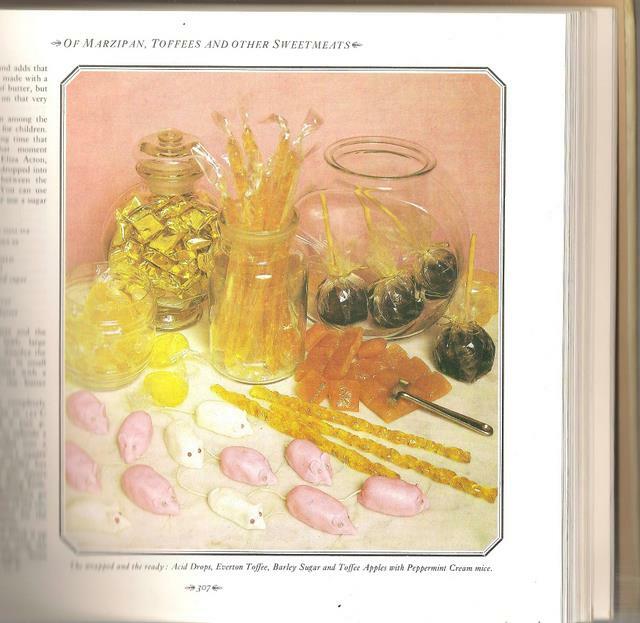 I'll be sure to report back if I ever get around to making Acid Drops or Peppermint Mice, although looking at it now the Toffee Apples look positively medieval! Legs must be slim, trim and well shaped, and free from hair and fuzz, dry skin and scorch marks, to be really beautiful. Scorch marks?! What did they use to depilate back then - a flame thrower? Sheesh. I'm linking up this post with more Flea |Market Finds over at Her Library Adventures and Apron Thrift Girl for Thrift Share Monday. Teacup candles the EASY way! ﻿So, I know this goes against some unwritten law of blogging (like saying the Cath Kidston shop makes my eyeballs bleed) but honestly, I think tea is Satan's own wee. Really people, it's grim. This is a shame, as I can totally appreciate the appeal of a cute teapot or a chintzy teacup, and I'd really like to have a proper excuse to fill the house with art deco teasets. Teacup candles to the rescue! It gives me a reason to buy pretty china, and they make great girly presents as well. I was always a bit put off by talk of double boilers, wick pins and crimping tools, but yay - none of these are necessary. Also, if you make one and aren't happy with it, you can just chop up the wax and use it again, even if you've already started burning it. Here is one I hacked up again after practising in a cup that was missing its saucer. They don't need a saucer, but it will protect your surfaces and gives somewhere handy to put matches. To be completely thrifty you can even melt down old candle stubs, but do try and remove any blackened bits of sooty wick, or the finished result isn't going to be that pretty. You can get starter kits on eBay which include wax, retainers, a length of wick, and a wick pin. The one I bought came with dye as well, but I prefer natural coloured wax. Wax - I used soya wax as it is eco friendly and burns cleanly. It also washes easily out of the teacup when you've finished burning it. Pliers. Fine nosed craft ones are probably best, but I just raided the toolbox. Glue - hot glue gun if you've got one/can be bothered, but I've used glue dots before now. Actually, I've also used blue-tac but I am supremely fond of the easy option. There are probably dire warnings somewhere regarding blue-tac and naked flames. First weigh your empty teacup. Then fill it with water and weigh it again. The difference is approximately the weight of wax that you'll need. Put the wax into the jug, and the jug into a few inches of just boiled water in a pan over a low heat on the stove. Keep an eye on it, as obviously wax is flammable. Stir around with a wooden spoon as it begins to melt. Once the wax is molten add any fragrance as per the instructions on the bottle. I was a bit gung-ho with mine and just sloshed it in until it smelled nice, but this is probably not advice to follow. Then carefully pour into the cup - making sure the wick remains central - and leave to set overnight. The two above are going to be presents, so in true Blue Peter style - here's one I made earlier. The cup above cost £1.00 from Oxfam, and the total cost of the wax including postage was £9.25. However, this made 6 candles in total. Alternatively, you could go to Liberty and pay £36.00! This project also forms part of my submission to The Felt Fairy's Monthly Make challenge for February. Another quick look in my favourite charity shop this weekend, and I was really pleased with what I found. I'd been after a copy of The Naked Chef﻿ for a while, and following last weeks Jamie Oliver buy, finally found his first book for 50p. Excellent, considering the neighbouring charity shop prices decent recipe books at £5.99. I also spotted this jug last week, and as it was still on the shelf, took it home for £2.00. I think country style flowers will look lovely in it in the Summer, but until then it's home to a supermarket pot of basil. Best of all though (although the basket of my buggy probably doesn't agree - good thing we'll be retiring it soon) was this Le Creuset cast iron enamelled casserole dish in classic volcanic orange. It's an older model, and in great condition aside from the small chip you can see on the rim. A similar 23cm oval dish bought from Amazon would set you back over £90! I have other Le Creuset in this colour, and this cocotte was mine for only £3. *top trivia - as well as meaning casserole dish, a cocotte is also a prostitute in French.You can insert your own smutty joke about being sold too cheaply here. Le Crueset cocotte. Isn't she lovely? The volunteer on the till admired my purchase and remarked that she had had some Le Creuset until she began to find it too heavy to lift from from the oven. I imagine that was what brought my dish to the shop (I have another emormous casserole which I use for jam making which my mother in law could no longer heft about), and with any luck it should last long enough for me to one day pass on for the same reason. Until then, it makes a great apple and blackberry crumble. This post is shared with other Flea Market Finds at Her Library Adventures, so if you want to see what Sophie has found in Australia, then pop over there. Also I've joined up with Apron Thrift Girl for Thrift Share Monday, as usual she has some fantastic vintage treasures. Here are some recent buys that I have finally got around to photographing. I like everything individually, but am sensing this will make a bit of a dull post. For some reason everything I picked out is monochrome, perhaps because it's a 'safe' option when buying second hand? Whites that other people have worn are unlikely to still be bright - and colours can be washed out. Or perhaps it is just a consequence of the weather. Also, I think grey does suit me - but enough now, I'm going to make a concerted effort to make room in my wardrobe for some other shades! I think the trousers below are probably the best of the bunch. They were £4.50 from the Sue Ryder shop near my parents in law in Watford, and fit perfectly. They were the first thing I picked up and the only thing I tried on - I have no idea why this doesn't happen in regular shops where they have every size, but I have had some disastrous high street attempts at shopping recently. Still, can't complain when there are bargains like this to be had. They are by Betty Jackson: Studio and seem to be pretty much unworn. They have a great forties feel and are pretty flattering (if I say so myself). Next up is a ﻿hooded jumper originally from Gap (where I never usually shop). It's 100% wool so I'm going to have to be careful not to shrink it, but it also appeared to be basically new - a good thing, as second hand knitware can be a bobbly nightmare. I took a risk and wool washed it in the machine and it's ok so far. Actually, the label says XS (which I'm not, usually more a 10/12) so I think it may be a sweater dress. 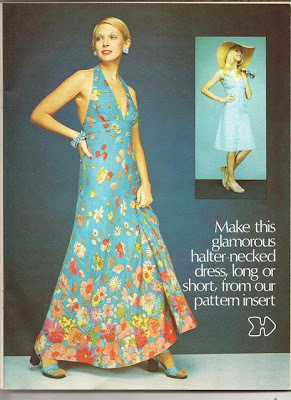 The width is fine on me, but as a dress it would scarcely cover my bum, so think I'm best wearing it with jeans. It was £5.99 from Age UK in Croydon, so maybe a bit pricey, but as I've been in serious need of warmth it seemed worth it. It doesn't photograph particularly well, but makes a good casual basic. Finally, is this black and white jacket, also from Age UK, which cost £6.49. One of the buttons was missing from the pockets, so I took the remaining one off, and replaced with some pretty black ones from my button jar. It's an improvement actually. 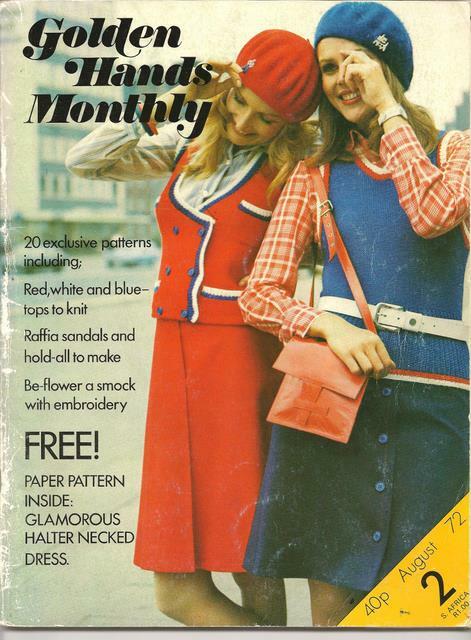 This photo is 'strobing' a bit (the reason newsreaders avoid pattern like this) and with all the large self-covered buttons the overall effect was a bit migraine inducing. The new buttons have toned it down just a little. Jacket. As donated by Fiona Bruce.